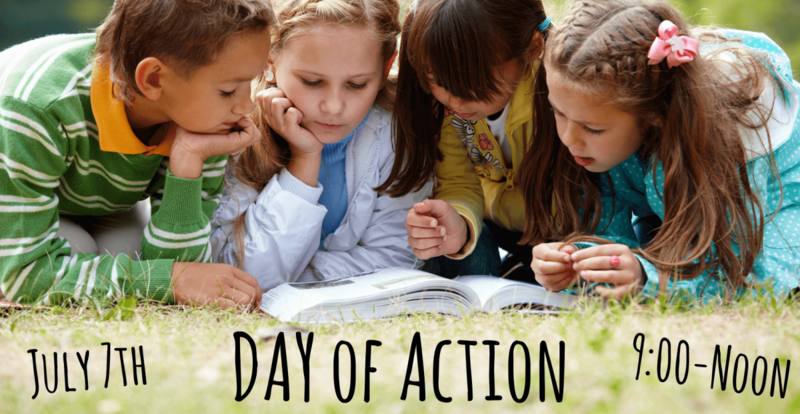 Join United Way and Success By 6 for the 2018 Day of Action! This year we are focused on childhood literacy. You can be a part of this day by donating new children's books that will be handed out at the Kankakee Public Library's Family Fun Day on Saturday, July 7th. You can also donate funds to purchase new books. Details below. Studies show that children who are reading below grade level in 3rd grade are 4 times less likely to graduate high school by age 19. Our goal is to ensure all children gain the reading skills they need for a successful life! Books can be dropped off at the United Way Office. 200 E Court St, Suite 500, Kankakee. We will be handing out the books on Saturday, July 7th from 9am-noon outside the Kankakee Public Library. There will also be farm equipment for kids see and touch. We hope to see you and your family there!